Cruise Ship calls to Key West, Florida are set to be impacted due to the Mallory Square dock being damaged by a Silversea vessel last week. The dock will be out of action for around three months so repairs can be made. The docking area at Mallory Square in Key West was damaged last week on Tuesday, November 27. At around 6:30 PM when the Silversea Silver Spirit luxury vessel was departing the port and was unable to turn around due to strong winds at the time. 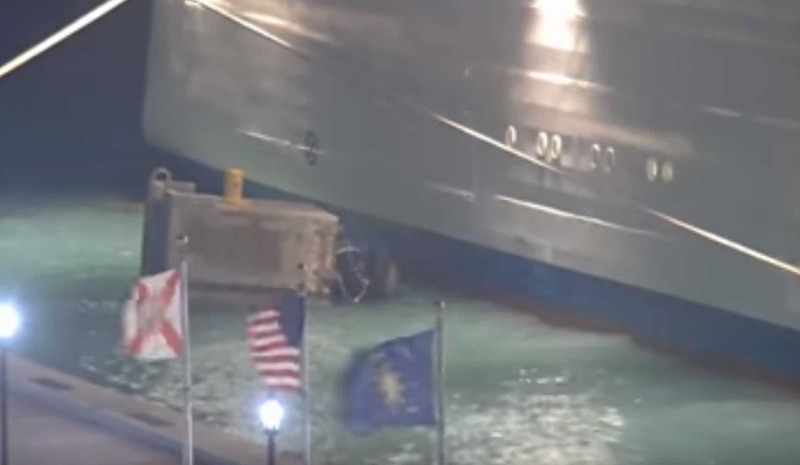 As a result and while the ship was trying to dock again it struck a mooring platform which caused minor damage to the ship hull along the starboard side. Thankfully there were no injuries reported. The platform was extremely damaged and is the reasons why no cruise ships will be able to dock there for three months. The entire incident was captured on a local webcam. The footage was posted online by Broadway Live Cams. Shortly after the incident ship and port personnel can be seen checking what damage had been done and a detailed inspection was done of the ship hull. According to the Miami Herald, the bollard platform is estimated to cost $500,000. The Silver Spirit is a luxury vessel and was sailing an eastern Caribbean cruise at the time. The ship did continue as normal with the voyage and arrived at her homeport in Fort Lauderdale, Florida as normal on November 28. The ship is 36,000 gross tons with a guest capacity of 540.